We are excited to open ticket sales for our first Spring Community Carnival! With fun for the whole family, the afternoon will be filled with food, games, music and a great silent auction. We hope you will join us on Saturday, April 27, 2019. 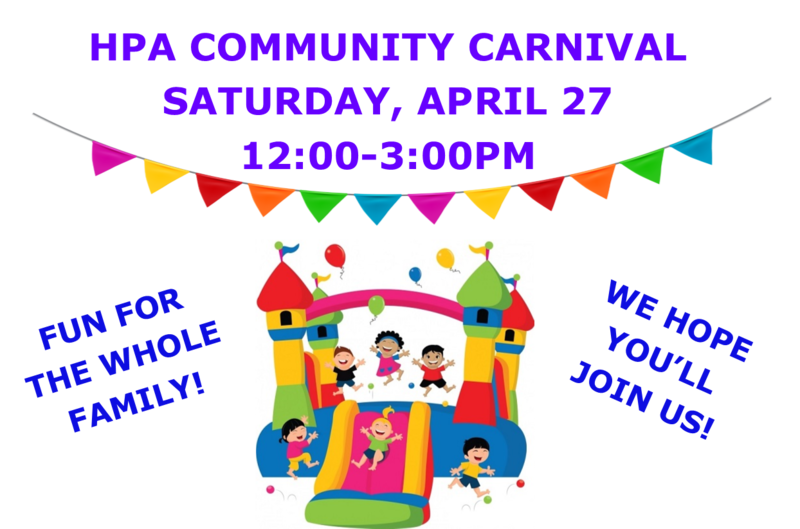 To purchase tickets or to underwrite the event, visit: HPA Community Carnival 2019. If you would like to donate an item for the silent auction, please fill out the Item Donation Form. To learn more about our underwriting & advertising opportunities, visit: Carnival Underwriting. For questions about tickets, underwriting or donating items for the silent auction, please contact Christina Pasten, Director of Development at cpasten@highpointacademy.org. Thank you!